On Saturday, September 20, 2014, a war took place at the Auditorio Municipal Fausto Gutiérrez Moreno, Tijuana, Baja California, Mexico. “I loved every minute of this one! 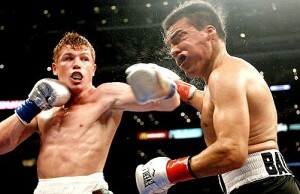 At its highest level, no other sport can produce this kind of drama!”—Hector Duarte, Jr. Lo and behold, just when I figured that I had the Fight Of the Year all set for 2014, along come the Thai warrior and the fan-friendly Salido who wasted no time in going into a two-way rock’em’ sock’em mode. 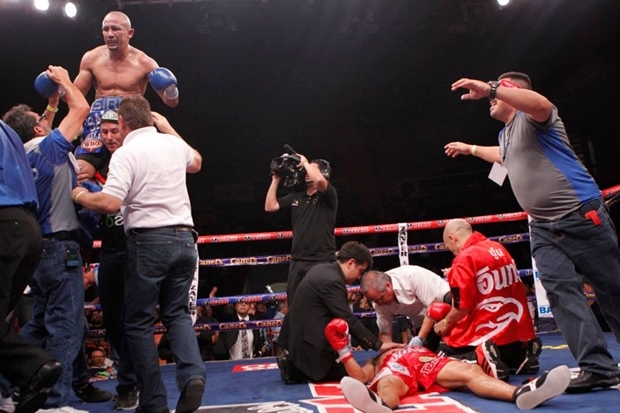 Salido was floored in the first, second, and fifth rounds, while Terdsak was down in the first, fourth, seventh, and eleventh frames. Unlike most Thai fighters, Kokietgym, who lived up to his nickname “Pit Bull,” is willing to work outside of Thailand, but when he does, the results are seldom in his favor. Referee Eddie Claudio messed up at the end of the sixth thinking he had heard the bell. 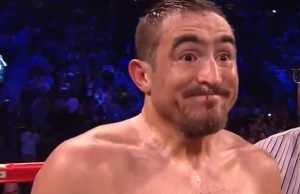 That led to Salido prematurely celebrating, thinking he had gotten a stoppage. After the seventh stanza, Siri took control and finally sent the valiant Thai to Pattaya Dreamland with a series of crunching shots. Salido is a slow starter who gets better as the fight progresses. While he frequently finds himself on the canvas, he is incredibly resilient and always seems to weather the storm and get back into the action. Against Mikey Garcia, he was down 4 times (though he was coming on at the end), and was nearly knocked out by Juan Manuel Lopez in their second match. Filipino Weng “Baliangao Thunder” Haya had him down twice before being waxed in 2011. 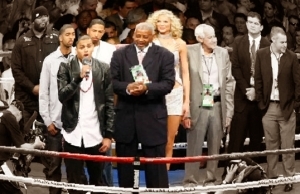 In 2010, Yuriorkis Gamboa had him on the floor twice on his way to a UD victory. In March 2014, Vasyl Lomachenko came very close to ending matters in the last round but ran out of time. 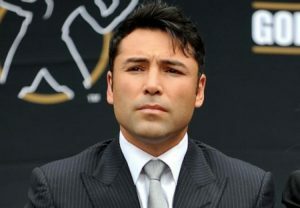 Perhaps because the fight in Mexico had more riding on it, it may get the nod for Fight of the Year over Coyle vs. Brizuela or other contenders.